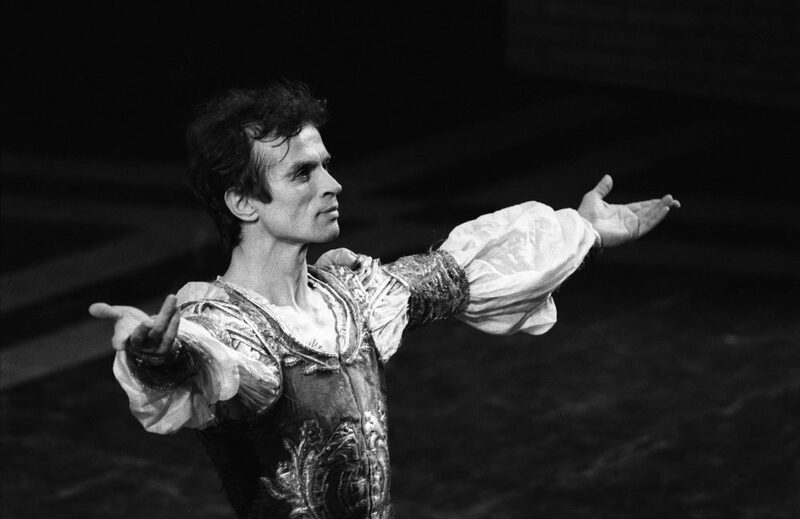 Rudolf Nureyev’s debut at La Scala was on 9 October 1965 when, finally, the Milanese public had the opportunity to see the Russian dancer that all the newspapers were writing about. With him was Margot Fonteyn, and they danced Romeo and Juliet together. On 16 September 1966 Nureyev and Fonteyn returned with Marguerite and Armand and several days later he danced with another regular partner, Carla Fracci, in his own production of Sleeping Beauty. 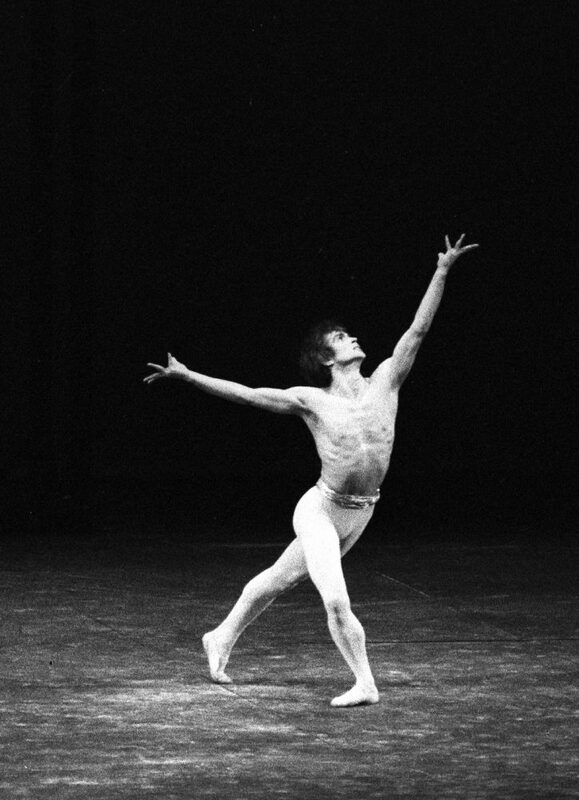 We must not forget that Nureyev has given our dancers priceless advice, both on a technical level and on that of professionality, which means his dedication to the art and his continual drive towards perfection. Who can forget the deafening applause for the corps during Nutcracker, something that happens rarely. This old Giselle has sent me home happy to have breathed ‘dance’. Again with Carla Fracci, in 1974, he appeared in Swan Lake and, in the same year, he showed an unseen side of his dancing to the Milanese public: Maurice Béjart’s Chant du compagnon errant. Nureyev’s Romeo and Juliet was mounted at La Scala in 1980, which was filmed by Italian TV. Later that year he appeared again as Drosselmeyer-Prince in his version of The Nutcracker. 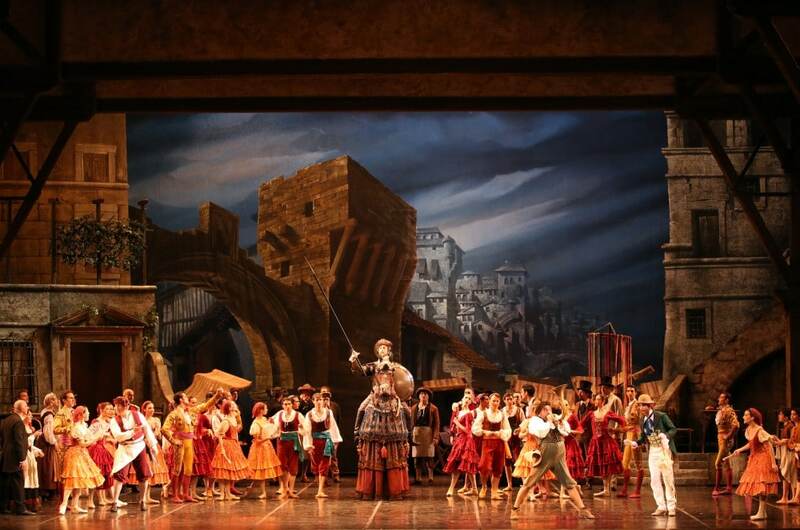 In the same season his Don Quixote debuted in Milan, and once again he was dancing with Fracci. In 1988 the couple joined forces again for Flemming Flindt’s restaging of Bournonville’s La Sylphide, though here came the first doubts expressed in newspapers about the quality of his dancing which was losing its shine. 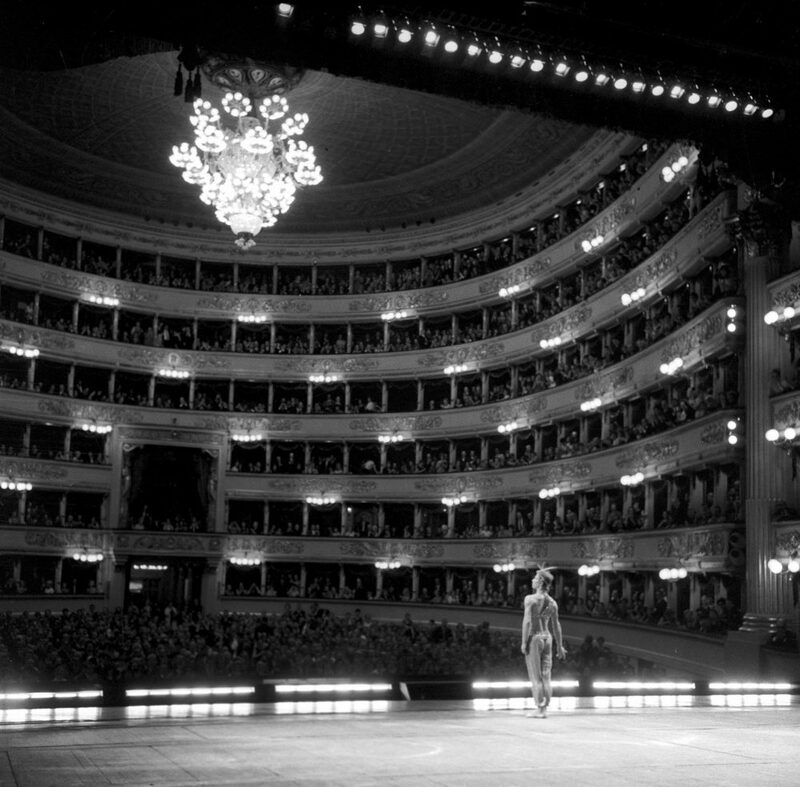 In 1989 when La Scala presented Flindt’s The Lesson at Teatro Lirico in Milan with Nureyev, the theatre was half empty on the opening night, though the critics were positive in their reviews. Life always marches ahead until a more powerful hand stops it. That hand arrived on 6 January 1993. La Scala will be performing a Nureyev evening on 24, 25, 26 and 29 May 2018 with Svetlana Zakharova, Roberto Bolle, Marianela Nuñez and Vadim Muntagirov, and will be performing his version of Don Quixote in July. Beautiful images with the essay. Thank you.